The Mueller report’s conclusion of no Trump-Russia collusion contradicted a story line in which the Democrat Party and its corporate media partners were heavily invested. That media narrative was pushed not by fringe voices but by The New York Times, CNN and most other establishment print, electronic and digital platforms. Americans were told on a 24/7 basis for more than two years, that President Donald Trump and his aides likely conspired with the Kremlin during the 2016 election campaign. Little attention was paid to the a different collusion theory, parts of which are thoroughly documented by court filings, investigative reports citing a Pentagon whistleblower and documents obtained by the legal watchdog group Judicial Watch. In his book “Deep State Target”, former Trump aide George Papadopoulos said he was targeted by the FBI and Western intelligence. The FBI dispatched a spy, longtime Washington academic and advisory figure Stefan Halper, to induce him into committing a crime, Papadopoulos alleges. The MSM largely ignored the Halper story. Papadopoulos pleaded guilty to lying to the FBI because, according to a court filing, at the time he was being considered for a spot on the White House National Security Council staff. He served two weeks in prison. 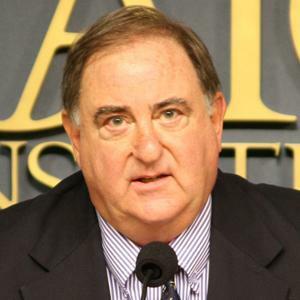 After he was identified as an FBI informant in 2018, Halper “has remained out of sight,” Washington Times reporter Rowan Scarborough noted. “Trump supporters say that if election collusion happened, then it was done by the Democrats who paid (Christopher) Steele $160,000 to obtain information from Kremlin intelligence sources and then inject the allegations into the American political and law enforcement process” via the unverified anti-Trump dossier, Scarborough said. Meanwhile, Rep. Devin Nunes, California Republican, told Fox’s Maria Bartiromo on “Sunday Morning Futures” that he is preparing to send 8 criminal referrals to the Justice Department this week concerning leaks of “highly classified material” and conspiracies to lie to Congress and the FISA court. Nunes, who did not divulge any names included in the referrals, said he has been working on the criminal referrals for over two years, but waited until Bill Barr was confirmed as attorney general to make his move.